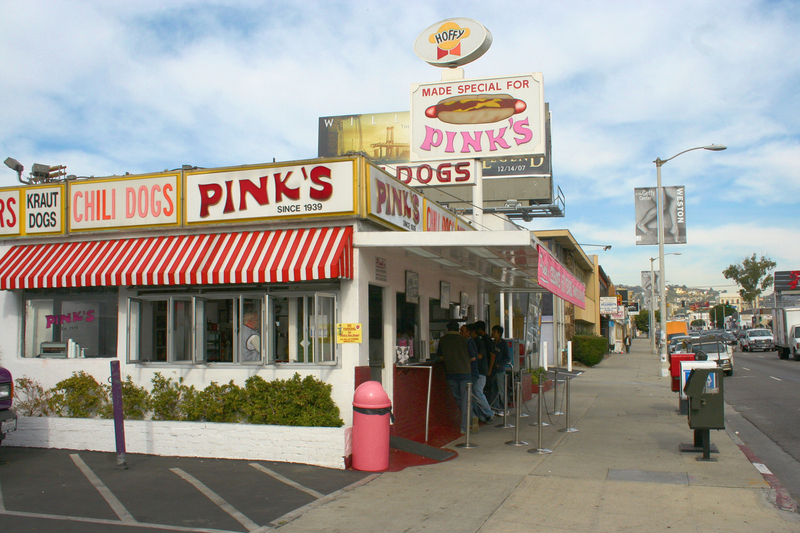 If you haven’t been following the Twitter feud between Chicago-based hot dog stand The Wiener’s Circle and Los Angeles stalwart Pink’s, what are you even on the internet for? The gripe started just two weeks ago to build up hype around the Dodgers vs. Cubs face off in the National League Championship Series. The Wiener’s Circle pulled out the first punch with some fighting words for the La Brea favorite which often has lines around the block. The sparring continued from there, with The Wiener’s Circle taking Chicago credit for being the coolest city, home to the best improv, hot dogs, baseball team, and of course the one and only, Bill Murray. After some squabbles back and forth, Pink’s set the bet: if the Cub’s win the National League Championship Series, Pink’s would pay for 108 Wiener’s Circle hot dogs and donate $1908 to the restaurant of their choice. Sure enough, the Cubs took the series and Pink’s was left with the bill for the charity donation and free hot dogs for Chicago patrons of The Wiener’s Circle. No feelings were hurt though, both hot dog joints were good sports about the whole thing, with Pink’s offering well wishes to the Cubs in the World Series.